An Everest education isn’t for everyone. It exists for those who want more than academic success. Everest forms Catholic Christian leaders capable of utilizing their strengths to fulfill the unique plan God has for each of them. Our students excel in four main areas: Academics, Spiritual Formation, Character Development and Service to Others. We are an authentic Catholic school of distinction. To be authentically Catholic means we are loyal to the teachings of the Catholic Church and embrace the beauty of our Catholic tradition. The virtues of faith, hope, love, charity, respect, integrity, perseverance, humility and honesty are interwoven into who we are as a school. In that way, we are striving to build the Kingdom of Christ — one student at a time. Prayer and sacraments enrich the school day by providing opportunities to encounter Christ. We offer daily Mass before school and communion service during the school day. The entire school participates in First Friday Mass each month. Reconciliation is available on demand. and there is monthly Eucharistic adoration, prayers for vocations, prayer to begin and end each class, and annual grade specific retreats. An education at Everest is a gift on many levels. While we do not expect perfection, we do strive to give God and our school our best. Every day our students are our gift from God. How we help form, nurture and prepare our students for life, is our gift back to Him. It is a gift of faith, knowing that no matter how challenging or difficult school might be, students are surrounded by a positive and encouraging staff that does not want them to fail. It is a gift of opportunity, to learn and grow in a safe, loving, and nurturing environment where students’ strengths are stretched while their weaknesses are strengthened. It is a gift of expectation, where students have an understanding of those expectations and develop a confidence in meeting them. It is the gift of family, with an environment that allows children and parents to grow together while fulfilling the plans that God has for each of them, as well as being part of the bigger “Everest Family Community” that supports everyone. Everest is honored to hold the following awards and accreditations. We strive for excellence in all areas of our existence. We pursue excellence in the complete formation of the human person. It’s in our core to live and love in Christ’s name for a better world. Since 2004 the Cardinal Newman Society has been acknowledging excellence at Catholic high schools across the country. Every two years, the top 5% are recognized for a range of categories from school identity, to academic achievements and civic education. Everest Collegiate High School has been recognized since 2012 as a School of Excellence (previously The Top 50 Catholic Schools). More information about the Cardinal Newman Society School of Excellence Award can be found on the Cardinal Newman Society website. Since 1982 the U.S. Department of Education has recognized schools that have achieved high levels of performance or made significant improvements in closing the achievement gap among student subgroups. Recognized as an Exemplary High Performing School, Everest is one of only 50 private schools in the US, the only private school in the state, and the only Pre-K through 12th-grade institution across both the public and private sectors in Michigan to be awarded the honor in 2016. 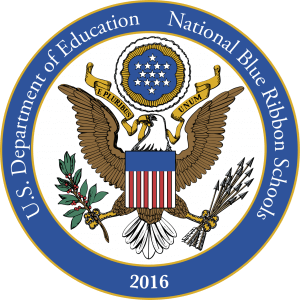 More information about the National Blue Ribbon School of Excellence Award can be found on the U.S. Department of Education website. AdvancED is the accreditation division of the North Central Association Commission on Accreditation and School Improvement (NCA CASI). The association partners with over 32,000 schools in 70 countries across the world where it recognizes achievements and helps assist schools to reach their full potential. 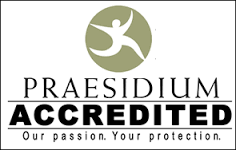 The Praesidium Accreditation is the highest honor for abuse prevention in the country. Assessed against 800 best practices in their Safety Equation, schools are measured by the potential risk of abuse in the organization. A rigorous review of eight areas is conducted including policies, screening and selection, training, monitoring and supervision, consumer participation, feedback systems, responding and administrative systems.